Since 1993 Dr. Foucauld has been practicing in the greater Wellington and Belle Glade area. He has active staff privileges at Palms West Hospital, Wellington Regional Medical Center and Lakeside Medical Center. He received his Cardiovascular fellowship at Fitzsimons Army Medical Center in Aurora, Colorado. While serving his country, he received both the Army Achievement Medal and the Meritorious Service Medal. Dr. Foucauld is Board Certified in Internal Medicine and Cardiovascular Diseases. Dr Foucauld performs diagnostic cardiac catheterizations, in addition to the full range of noninvasive cardiac testing. 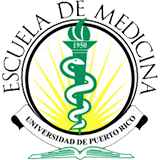 Dr. Foucauld went to medical school at the University of Puerto Rico and underwent his internship and residency in Internal Medicine while serving in the Army at Tripler Army Medical Center in Honolulu, Hawaii. Dr. Foucauld is a fellow of the American College of Cardiology and enjoys memberships in the ACC Florida Chapter and Florida Medical Association. Dr. Foucauld is fluent in English, Spanish, French and Creole.